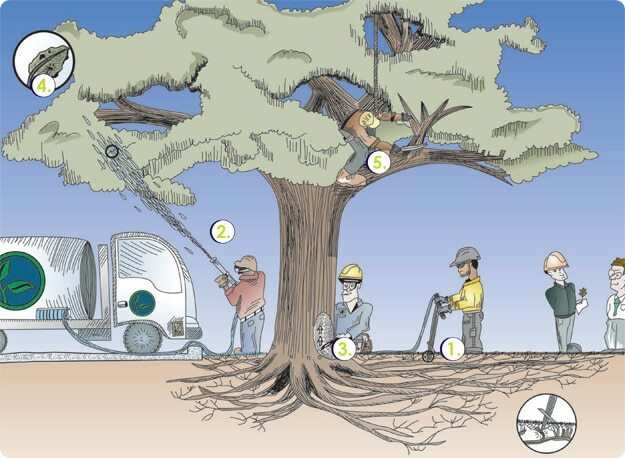 Tree Care: We serve your trees by protecting them from harmful pests and giving them the nutrients to grow for decades. Trees are the only asset on your property that cannot be replaced. Casper’s trees are valuable because we just don’t have very many of them so caring for them is crucial. We have spent the last 15 years perfecting the art and science of tree care just for Casper trees. Every tree species has a few specific needs and those needs must be met within a certain time frame. We start by meeting you and looking at your trees to write a customized Tree Care Plan for your particular tree needs. 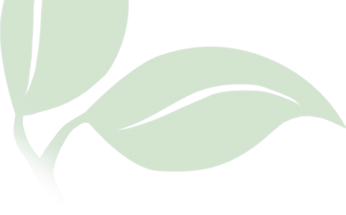 This Tree Care Plan will be administered by professionally trained ISA certified arborists and then your trees will be able to do what they do best – grow. We are constantly amazed at how these trees adapt and thrive here in our high mountain desert when given the opportunity to do so. Let us give your trees that opportunity? Here at Rodolph Brothers, we are passionate about tree care. We provide Integrated Pest Management (I.P.M.) services for your trees. These services include diagnostics and full insect and disease prevention and treatment. We also offer all levels of tree trimming. This means everything from the high, difficult and dangerous, to the newly planted juvenile trees. We help create healthy and fertile soil for your trees because of Casper’s poor soil quality and challenging weather conditions, ensuring that your trees are as healthy as possible in our state’s unpredictable weather. This process of tree fertilization is the single best treatment available for your trees and shrubs. The fertilizer is specifically formulated to help correct the deficiencies in the harsh Wyoming soils. The delivery mechanism is designed to deliver the fertilizer directly to the absorbing roots under the soil, bypassing roots from ground cover plants. It is applied directly underneath the canopy of the tree where root concentration is greatest. This method provides for maximum usage of the nutrients by target plants. In addition, the fertilizer is dispersed as a water based suspension released at pressure. The pressure fractures the soil to effectively achieve aeration, while the suspended nature of the product allows for even distribution, but causes minimal leaching. The final benefit of this process is that the roots receive a thorough watering directly where the water can be utilized. This process increases growth, hardiness, and longevity; improves the color and density of the canopy; and boosts defenses from pests, diseases, and the environment. The spring fertilization primarily creates healthy canopies throughout the growing season. The fall fertilization primarily creates a stronger root system throughout the dormant season. Topical spray is the original form of chemical pest and disease control. This method is great for topical problems in trees and plants because it puts the treatment directly on the problem. This can be used to treat various insects, mites and fungi throughout the year. Spray can also be used for dormant oil, which is a pre-emergent insect killer, and for fall transfilm, which is used to protect evergreens from drying out in the winter. Micro Injectors are the new face of tree care. These capsules provide a closed system of treatment. Since the capsules are pre-measured doses, there is no chance of applying an incorrect dose. The chemical is injected directly into the vascular system of the tree, just like an I.V., so there is no drifting onto cars, houses or the neighboring areas. The chemical does not contact any surfaces around the tree, and it cannot contaminate waterways that might be nearby. The vascular system of the tree disperses the chemical throughout the tree, so it provides better, more even coverage, and it can treat systemic disorders that other treatments cannot. In addition, the closed system prevents danger to non-target animals and pets. I.P.M. is a revolutionary new style of plant health care characterized by periodic monitoring throughout the growth season. Doing so enables the arborist to identify any plant health issues throughout the landscape and discuss mitigating options with the owner. This gives several benefits. First, arborists stand a better chance of finding problems early on, so less damage is caused to the plants, and they have a better chance of survival. The second benefit, which ties into the previous one, is that if the problems are found and treatment is administered earlier on, there will be less costs in follow-up treatments and removal of dead or damaged tissue. The final benefit is that signing up for the I.P.M. gives you a kind of V.I.P. treatment. If at any time a problem arises, you will be given priority over the customers who do not have this service. For every level of need, we can provide the service for you. We do everything from cutting out a few dead branches to full-scale removals. Our crews can do hedge shaping, juvenile tree lifting, mature tree thinning and lightening. The cleanup after the job will leave the area looking better than before the job was started. We provide any service to fit your needs. We also offer 24/7 service for emergency hazard mitigation and even provide stump grinding services.